This project will use the 555 timer IC to flash an LED with the eventual aim of using the timer to provide a regular timing pulse. 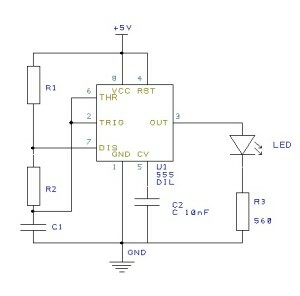 Use the 555 timer to flash an LED with a period of 1 second. The timer being used is a standard NE555N timer. 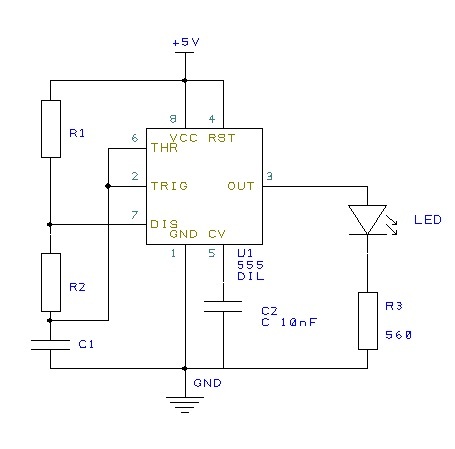 This is a cheap general purpose timer circuit and has been around for many years. In fact I remember using them when I first became interested in electronics at school. Gathering all of the components together along with some breadboard gave a LED flashing at approximately 1 Hz. I say approximately as I’ll need to feed that output through a logic analyser / oscilloscope to verify the exact frequency. The aim of this experiment was to test the analog input. The simplest way I could think of to do this is to hook up a potentiometer to one of the analog pins and then display the values using the debugger. I say final wiring as my initial version looked a little different. The first version did not have the 3.3V output connected to Aref and as a result I found myself getting very odd results from the analog input pin. Running the application and turning the potentiometer results in a range of values from 0 to 1023. Lots of abbreviations in this post but the aim is simple. Going back to working with LEDs, the idea is to control a RGB LED using the Netduino. The LED I have purchased is a common cathode LED the details of which can be found here. The LED can be used either as a status display (using each of the three colours for a different status) or the three colours can be mixed to provide mixed colour output. 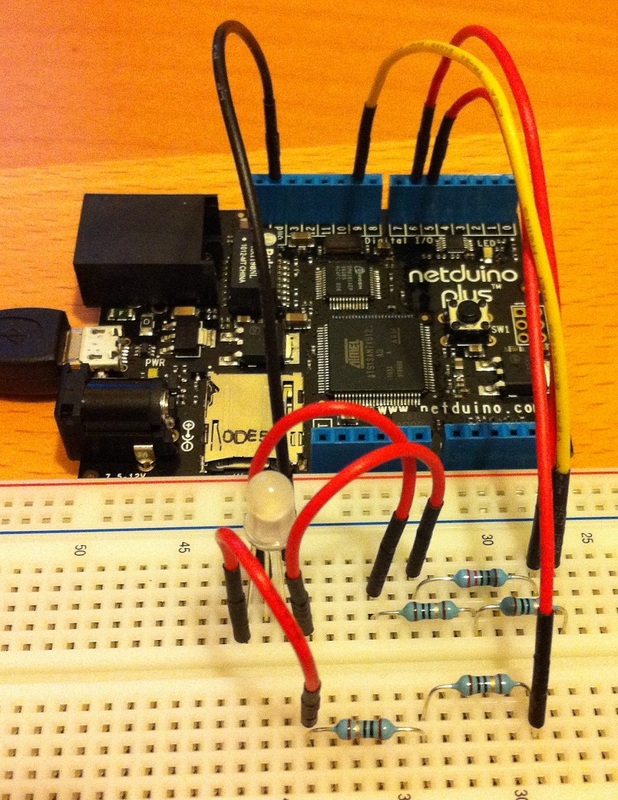 This entry describes how to use the Netduino to provide a mixed colour output using PWM. The program simply cycles through a series of values for each of the selected pins and changes the amount of time each pin is active. The result is a LED which constantly changes colour. Having been working with the Netduino Plus for a few week I wanted to look at the possibility of using the network to communicate with the board. Having browsed the forums on the Netduino home page I found a few discussions about using this board as a web server including using a WiFly board to hook up to a wireless network. The SDK also comes with several examples of network programming with the micro framework. 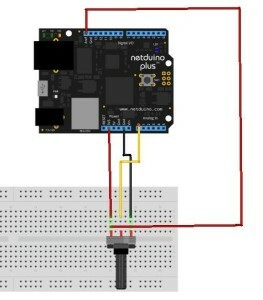 Allow the PC to send and receive data to the Netduino Plus over a wired network. The Netduino Plus board does not have the same resources available to the programmer you would normally find in a PC environment. This leaves the programmer with little to work with. The HTTP server supplied as a sample with the micro framework occupies a substantial amount of memory on the board. The main program is a simple affair. It contains a few definitions to support the file locations for the web files along with a small amount of code to offer “I am alive” feedback to the user. For the “I am alive” feedback I have chosen to use the on board LED and button. The LED will flash twice when the user presses the on board button. A small power saving I know. The final job of the main program is to instantiate the web server. This will start the server listening on the specified port. /// Flash the on board LED to let the user know we are still alive. The code for this can be found in SimpleWebServer.zip. The files served provides a static web site to the client (a trip back to the 1990s). The web server class contains the methods to create a non blocking web server which will listen to the network on the specified socket and process the requests. The Listen method does the main work of listening to the socket, getting the request and converting it to a string which can be processed and finally closing the socket. The constants in upper case contain response strings indicating that the web server has encountered an error. The key work for sending the files and processing commands can be found in the SendFile method. The first thing this method does is to check on the file name to see if it is the “special command” file. If it is then the query string is passed to the command processor. All other requests are processed as request for files which should exist on the server. The system works out if it understands the file type and if it does then the file is sent to the client. One design decision taken was to restrict the output to the client to 256 byte chunks. This decision was made in order to conserve memory. 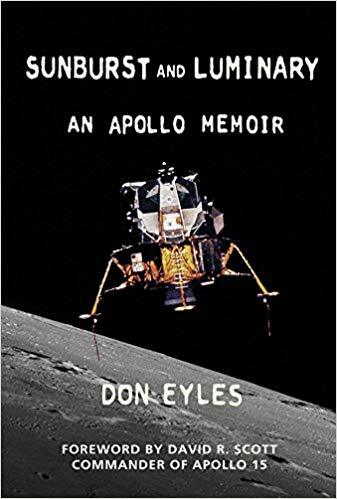 The eventual aim is to connect sensors etc. to the Netduino and then read the data from them over the network. In order to test the theory a “dummy” sensor was added to the command processor. This simply returned the number of milliseconds from the current time divided by 100.
could be interpreted as a request to read the temperature from a sensor attached to the board. The next step was to look at dynamic content. The board is not powerful enough to support conventional technologies such as PHP or ASP. Silverlight offers the ability to move the dynamic content creation away from the web server and onto the client desk top. To demonstrate this, a simple Silverlight application was created to be served by the web server (hence the support for XAP files). The initial version simply said hello to the user. So far, so good. The web server was serving HTML and Silverlight files to the client. 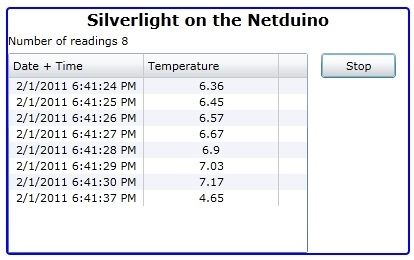 The next step was to flesh out the Silverlight client to hold sensor data and display this to the user. This part of the application is implemented in MVVM. For this I needed a class to hold a sensor reading and a class (TemperatureReading)to hold a collection of sensor readings (TemperatureViewModel). /// Date and time the reading was recorded. /// Collection of temperature readings. /// Number of readings in the collection of temperature readings. /// Event used to notify any subscribers that the data in this class has changed. /// Let any subscribers know that some data has changed. /// <param name="properties" />Array of name of the properties which have changed. /// Add a new reading to the collection. /// <param name="reading" />Reading to be added. Now we have somewhere to store the data we need to display the interface and then add a way of getting the data into the application. The MainPage.xaml displays the data in a DataGrid and a chart. There is also a button for starting and stopping the collection of data. The DataGrid and the Chart are both bound to an instance of the TemperatureViewModel class. The data for the class is collected periodically by using a web request from an instance of the WebClient class. This is then parsed and added to the collection of readings and the interface updated automatically through the magic of the RaiseProipertyChanged method of the TemperatureViewModel class. The source can be found here: SilverlightOnNetduino.zip. The next step is to tie this up to a real sensor and serve data to the users desktop.